Scuffin? Now there is a word I have never seen or heard–that is only a recent trip to California when I saw—and tasted—a scuffin in a coffee shop. We were visiting relatives, and one of our day trip took us to Novato, California. This city has a wonderful downtown area with shops, restaurants, and at least one coffee shop. We stopped off at Dr. Insomniac’s Coffee and Teas for a quiet place to catch up with one of my wife’s relatives. The shop’s display case contained many pastries including something called a scuffin. When I got back to Colorado, I researched this unique treat. 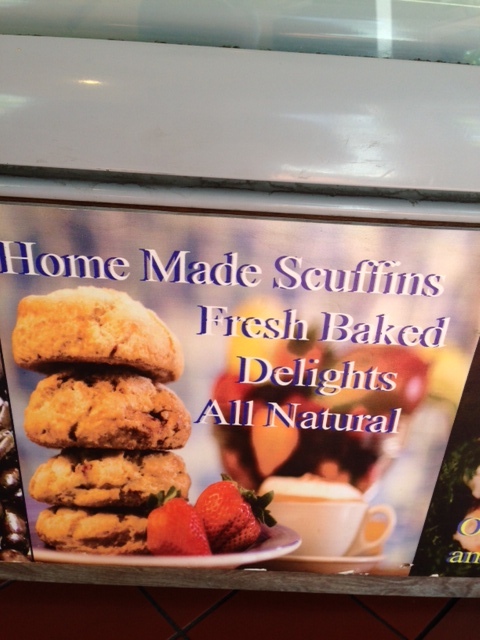 The scuffin is part scone and part muffin. The hybrid pastry has an arid crumb-like texture of a scone but has the shape of a muffin, and is made in a muffin tin. The cooking.nytimes.com/recipes website called it a frankenpastry — part scone, part muffin and, like a doughnut, filled with jam. 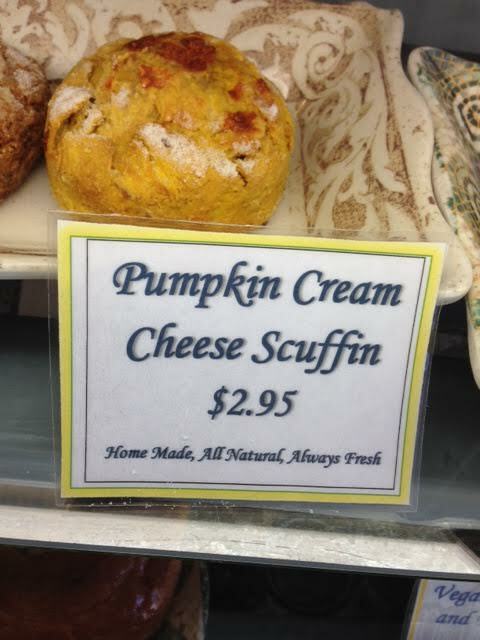 I had the pumpkin and cream cheese variety. Anglophone — what is it? Posted on October 7, 2014 | Comments Off on Anglophone — what is it? Anglophone. Is this some kind of new “smart phone.” I wasn’t sure of this word with I saw it in print recently. From the context it was use in, I could tell it was not something you would speak into. 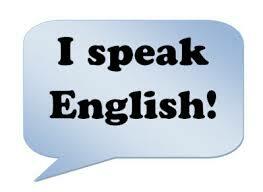 My research shows that an anglophone is–an English-speaking person, especially a native English speaker. I also learned about the anglosphere. This is a word for the neologism that refers to a group of of English-speaking nations with a similar cultural heritage–based upon populations originating from the nations of the British Isles, England, Wales, Scotland and Ireland. Comments Off on Anglophone — what is it?